The year was 1853. Laurel Hill Association was founded. 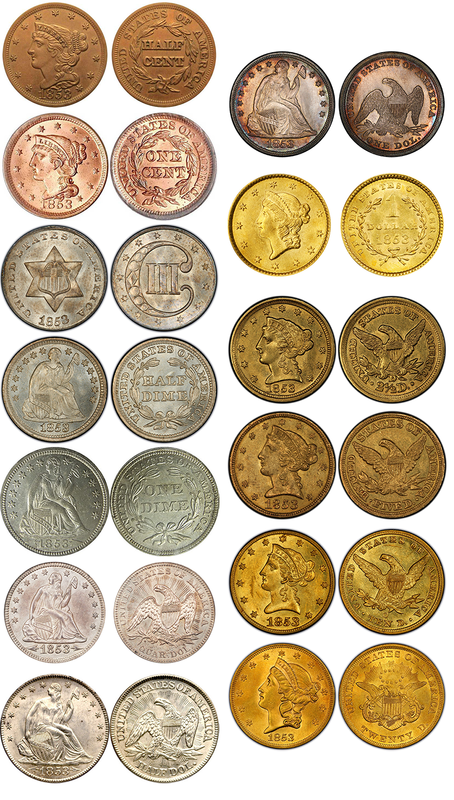 A total of 13 types of coins were minted by the United States that year, though many of them were issued from multiple locations. Their denominations included all the ones we have today, plus the half cent, the three cent silver, the half dime (there were not yet any nickels), and of course the gold denominations from one dollar to twenty dollars. We can just imagine those early Stockbridge residents going to the local bank and getting one of these shiny, new coins to fund the first project, cleaning up the cemetery. Today, it's a little easier to donate. Just hit the donate button! Thanks.